Part of Hillary Clinton’s income reported for 2015 was $3,000,000 she received as part of her crooked book deal. Remember: Hard Choices. Remember reading Hard Choices? No. You can bet that NOT reading the Clinton drivel was no hard choice. Apparently far too many Americans agreed, so how was Hillary Clinton able to secure her crooked book deal? According to Politico, Hillary Clinton’s book sales were pretty dismal. Allow me to make sense of this. The publisher printed 1 million of this book. Hillary Clinton sold 100,000 initially which included pre-orders AND e-books. So the publisher was sitting on 900,000 of this book. The book’s total sales have been 280,000, which leaves a whopping 720,000 books unsold. NO publisher would do this, certainly given the lack of success of Clinton’s previous book. Moves like this cause “Publisher Jihad” as heads must roll. 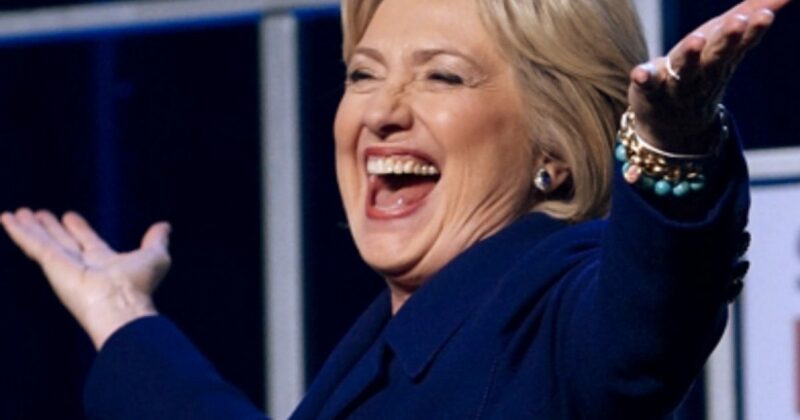 Publishing executives are reportedly ‘on notice’ for allegedly paying Hillary Clinton $14 million for her highly-anticipated memoir which sold just 161,000 copies in its first three weeks. The net of Hillary Clinton’s popular work of fiction? According to Front Page, Simon & Schuster lost a whopping $10,000,000. Nobody who wants to stay in business! Did the executive who authorized this deal misjudge the market? Isn’t Hillary Clinton the most popular woman on the planet?! That’s why everybody wants to read her work of fiction. Or was this just payola of sorts? Just a crooked book deal by Hillary Clinton with Simon and Schuster made whole in the end?